This darkly compelling doc offers a fly-on-the-Al-Qaeda-cell-wall view of post-9/11 terrorists in action. The opening scenes of ‘Path of Blood’, a documentary following Al-Qaeda cells in Saudi Arabia in the aftermath of 9/11, play out like outtakes from ‘Four Lions’. 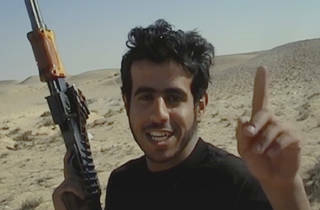 Martyr ‘Brother Ali’ struggles to keep a straight face during his piece to camera explaining his one-way mission to ‘destroy the infidels’; another suicide bomber is told before he films his obituary: ‘Keep the bandana, your hair looks amazing.’ Jihadi trainees at a boot camp in the depths of the Saudi desert break from target practice to compete in wheelbarrow races. But the giggles and banter quickly become bitter as ever-more horrifying scenes of gunfire, explosions, blood-splattered walls and the aim to ‘bring slaughter’ by the cadre fill the screen. 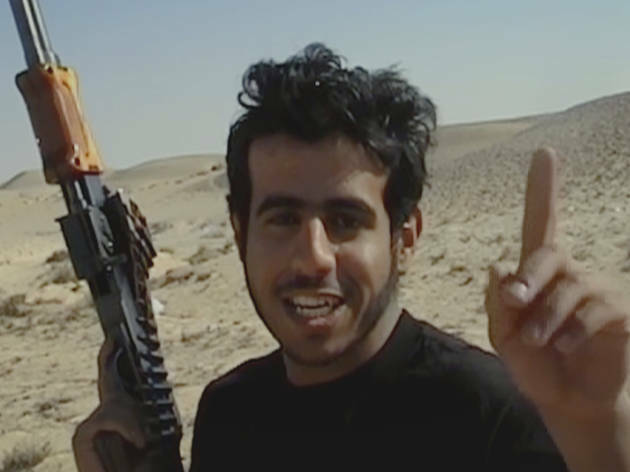 Director Jonathan Hacker’s doc is assembled from an extraordinary archive of home-video footage shot by Al-Qaeda footsoldiers and later seized by Saudi security services. As eye-opening as it is disturbing, with little in the way of commentary, it’s a patchwork of raw, brutal images that weave a chilling narrative of youthful naivety and adventure being warped into death and destruction. Equally revealed is the plight of Muslim security agents fighting to protect civilians on their own soil from a fanatical minority – a reality often overlooked by media in the West.